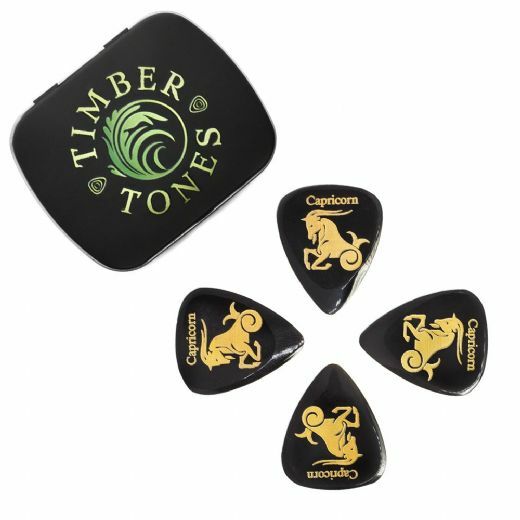 Zodiac Tones are CNC Milled precision Guitar Picks that are manufactured from Black Vietnamese Water Buffalo Horn. They are a 3D version of the Classic 351 shape being 2.5mm thick where you hold them tapering down to 0.7mm at the playing tip. Horn Plectrums are as close as you will find to Tortoise shell Tone as they are made from the same Keratin material. Zodiac Tones are recommended for both Acoustic Guitar and electric Guitar.